The term means that we should use public money when it produces public goods, not private wealth. Public goods in turn refers, in a non-technical sense, to things that are useful to the public generally, such as infrastructure. In a more technical, economic sense, public goods are non-excludable (people can’t be excluded from using them) and non-rival (use by one does not reduce the good being available to others). Public parks, street lights, and clean air are examples. Recently the term is being used to describe a more progressive view of support for agriculture. Typically, financial governmental support for farmers has been paid based on the amount of land they own (a private good). There is a growing movement for the support to farmers to be based on what environmental services they provide as part of their farming. Only if they protect or enhance the environment as part of their farming practices do they receive support. 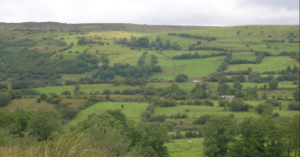 For example, instead of destroying hedgerows to make more room for more usable land or crops, the farmers have to preserve and maintain the hedgerows to provide habitats for various species of wildlife, which in turn creates a more diverse and sustainable ecosystem that will benefit the public at large. Do subsidies for fossil fuels constitute public money for public goods? How about subsidies for renewable energies? How about contentious water charges? Do they represent public money for public goods? Identify any public money you receive and link it to any public goods. How about financial aid for education?